The Morfontaine story began in 1910 when a wealthy French duke decided to create his very own nine-hole golf course on gorgeous woodlands tucked away in a quiet pine forest outside of Paris. 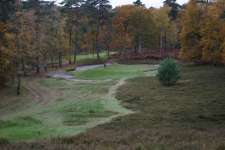 Tom Simpson was commissioned to design his layout, which was finished in 1912 and followed in 1927 by an adjacent full eighteen-hole course built for the Duke’s friends who had formed the Morfontaine Golf Club. 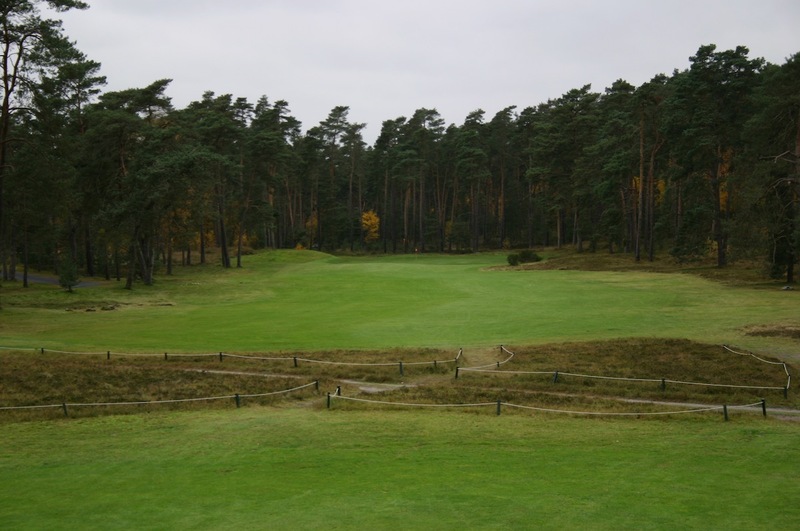 The original nine, known as Valliere, was later donated to the club and remains its brilliant short alternate course with some of the most amazing green complexes in world golf. 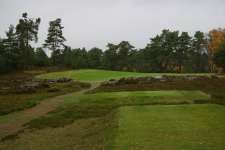 An extremely prestigious club who guard their treasured golf holes as much as their privacy, Morfontaine is a rare beauty and remarkably similar to the best in London’s Heathland with shades of Swinley Forest, Sunningdale and St George’s Hill but possibly set on even more attractive grounds. While any invitation to play here should be greeted with delight, the way to enjoy Morfontaine, if possible, is to first play the avant-garde short course, which is an ideal warm up for the longer, and slightly less eccentric, main event. As a standalone nine-holer, the Valliere course would probably rank with Royal Worlington & Newmarket in England as the world’s finest, and it is certainly the most fun to play. All seven of its surviving Simpson greens are a real work of art, while the 2nd, 4th and 9th holes are awesome par threes and the 5th is a very special short par five with its fairway bending left toward a partially obscured green sitting in a basin between the dunes. Like the Valliere, the par threes on the course proper are a highlight, as are some of the longer bending par fours which demand precision from both the tee and the fairway. The entire layout, however, is highly strategic with a stunning array of short game challenges presented by the creatively contoured greens and bunkers. Aside from its spellbinding beauty and rolling fairways, which are mostly lined by tall pines and heather covered hills, Morfontaine is noted for an exceptional stretch of holes through the middle of the round. This section includes strong fours such as the 7th and 8th, fantastic short par four greens at the 9th and 10th and beautiful par threes at the 11th and 13th. The doglegging 8th is a magnificent driving hole across rocks to a crested fairway that bends into a superb green complex, which is progressively more difficult to approach the safer one drives from the tee. 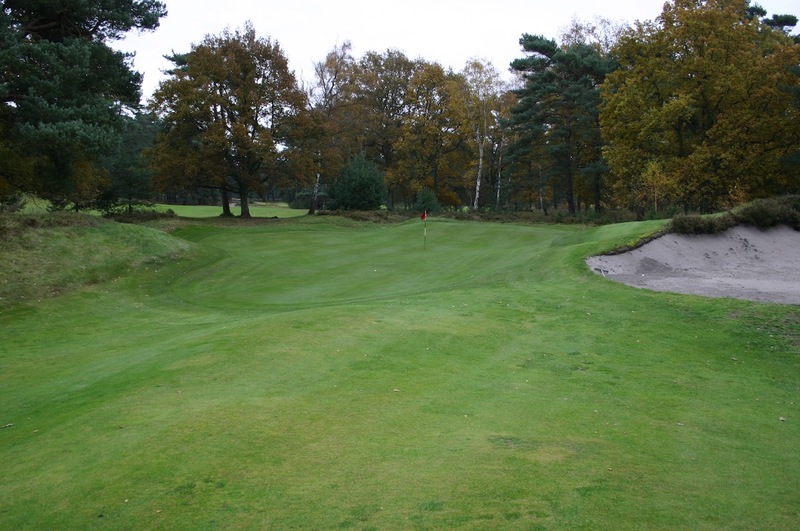 Both the 9th and 10th feature cool fallaway greens where Simpson gives you a glimpse at the target but then rejects anything not perfectly struck, the 9th falling sharply away to sand on the right and the 10th with a wicked false front. 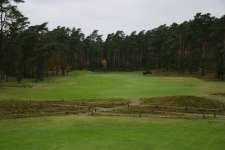 The finish is also strong and includes a wonderful long par four at the 16th followed by a short hole played into a shelf green that slopes sharply to the front. 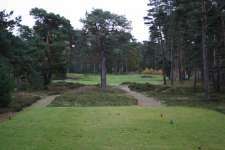 Right until his death Simpson continually tweaked the holes at Morfontaine, regularly sending sketches and drawings of green and bunker changes to the club. Some have suggested his continual desire to make alterations was financially motivated but he clearly cared a great deal about this golf course and one cannot argue with the quality of the end result. Until 2005, when Kyle Phillips completed some minor redesign work, the entire layout had remained virtually unchanged since his final design. Phillips only extended tees on the 3rd and 10th but changed the par five 12th substantially by shifting both the tee and green back and creating a pronounced dogleg. 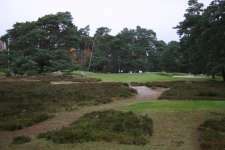 A more challenging hole now for the better players, one can only hope that the club will resist further change and continue to preserve Simpson’s artistic genius for the golfing world to enjoy. There are few more attractive places to play the game than Morfontaine, and while the raw glamour of Ballybunion has made it the best known of Simpson’s courses, this is his architectural masterpiece and ranks among the best inland golf available anywhere on the planet.